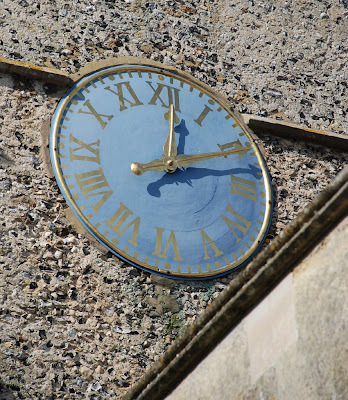 Some people think that these blue clocks that seem to be present in so many churches and government buildings are monstrosities and do nothing to enhance the architecture of the place. I happen to like them. I think they add a bit of colour and fun to an otherwise too serious building. I'm with you, I like the blue clocks. I think this is a lovely clock too, especially since the blue is a bit faded. I too like it. It is such a nice shade of blue. I vote yes for the blue clocks! They have a lot of character. Hi Rose, Blue clock faces cannot be lit up at night. So can't be seen, unless spotlighted. Just a thought!